For the past year, the economy has slowly but surely added new jobs. Employers were taking a cautiously optimistic approach to business, afraid to hire too quickly. Fortunately, several signs point to more energetic hiring currently happening. Each month we assemble a list of companies hiring in order to simplify your job search, and judging by this amount of employers ready to bring on new workers in May, the economy is looking up. 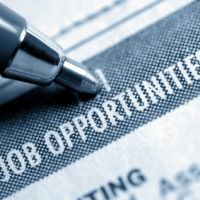 So whether you’re looking for a job in a new industry, hoping to return to the workforce, or just wondering what opportunities are available, your chances of finding a new job are better than they have been in a long time.